Congratulations to Monica Crenshaw, counselor at Colquitt County High School in Moultrie, for being named the 2016 Region II Career Guidance Award winner. Crenshaw is driven by a strong belief that all students have potential to succeed in their chosen field with the right exposure to opportunities, ideas and encouragement. At school, Crenshaw brings a level of consideration and care to each individual student she works with, not only getting to know their motivations but taking the time to learn about CTE programs of study and the options that are available to her students. Crenshaw was nominated by GATFACS and received the GACTE Career Guidance award in July of 2015. She is one of the five finalists for the 2017 national title. The winner will be announced on November 30th at the ACTE Career Tech VISION 2016 in Las Vegas, Nevada. WASHINGTON, DC – Marina Ortiz from Lanier County High School, attended the Association for Career and Technical Education’s (ACTE) National Policy Seminar (NPS) February 29-March 2 in Arlington, VA, and met with Members of Congress on Capitol Hill to educate them about the value of career and technical education (CTE). Career and technical education delivers real-world training and skills development to over 94% of America’s high schools. Now, more than ever, the nation is turning to CTE to prepare the skilled workforce needed to keep America competitive and grow our economy. With CTE programs expanding and changing across the country to meet the needs of employers, students and communities, educators and administrators are challenged to effectively advocate for resources and support on local, state and federal levels. While attending ACTE’s three-day briefing on federal policies, Mrs. Ortiz, Vice President Georgia Association of Family and Consumers Sciences Teachers (GATFACS) serving on the Georgia Association of Career Technical Education Board (GACTE) and LCHS teacher, consulted with staff members of the following members of congress: Hank Johnson, Austin Scott, David Scott, John Lewis, Buddy Carter, Rick Allen, Johnny Isakson and David Perdue to encourage more support for CTE and other education and workforce development programs. Mrs. Ortiz informed them how their support of CTE helps our students in Lanier County and asked them to continue supporting CTE. “Visiting Capitol Hill was a great learning experience and opened my eyes to the importance of keeping our lawmakers informed,” said Mrs. Ortiz. At the opening session of the NPS, attendees heard from the Honorable Thomas Davis, a brilliant political strategist. He provided a comprehensive analysis and practical advice on navigating the current and changing political environment. Bringing a wealth of knowledge to NPS, he is a former seven-term member of the U.S. House of Representatives from Virginia, and presently serves in numerous roles, including Director for Government Affairs for Deliotte & Touche. Over 400 teachers and administrators attended the conference and participated in the Hill visits. The National Policy Seminar is an annual event that takes place in early spring as policymakers are beginning work on the federal budget and appropriations process as well as reauthorizations such as the Higher Education Act and the Carl D. Perkins Career and technical Education Act. 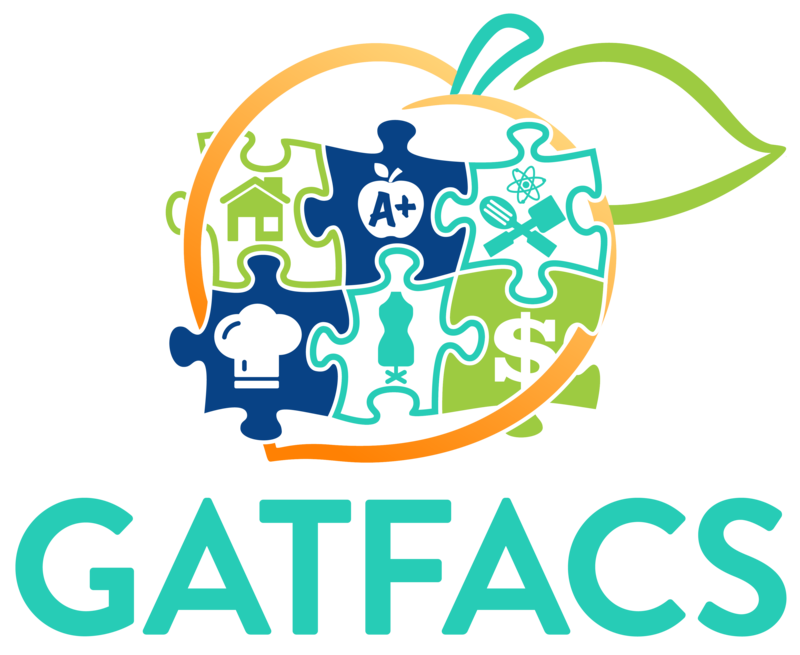 Appreciation goes to the GATFACS Board, Superintendent Keith Humphrey, Principal Howard Akers and CTAE Director Sylvia Ragan for their support of this conference. A Thomas County Middle School teacher has been named 2016 National Teacher of the Year by the American Association of Family and Consumer Science (AAFCS). Megan Palmer, who was the 2015 Georgia Family and Consumer Sciences Teacher of the Year, competed against other teachers from all over the nation for the top spot. Palmer will receive the award in June at the AAFCS 107th Annual Conference and Expo in Bellevue, Washington. For the past 12 years, Palmer has taught her students how to be involved in the community, how to use math and chemistry in sewing and cooking, and how to look for leadership opportunities. The Family and Consumer Sciences (FACS) program was new to TCMS when Palmer was hired, and she was responsible for building the program from the ground up. As a family and consumer sciences teacher in grades fifth through eighth, she is also an advisor for the Thomas County Middle School chapter of the Family, Career and Community Leaders of America (FCCLA), organizing extra-curricular service projects and encouraging her students to become involved with the community. After deciding she wanted to be a teacher, Palmer chose a career in FACS through her involvement in FCCLA in high school and college. She served as a state officer in high school, charter member of the Alumni & Associates on the collegiate level at the University of Georgia, and was awarded an honorary membership while in college. Through her teaching career, Palmer has worked in both Oconee and Decatur counties in Georgia. Palmer has been with the Thomas County School System for three years. The AAFCS National Teacher of the Year award was established in 1974 to recognize exemplary teachers who utilize cutting-edge methods, techniques and activities to provide stimulus and visibility to family and consumer sciences in elementary and secondary education. Any individual that is nominated for President Elect or Representative to GACTE must have served on the board in some capacity. As of right now, the current bylaws do not address this. The bylaws currently do not list requirements for these two positions. However, the board feels that prior experience on the board should be required. These proposed changes have also been added to the Bylaws page so that they can be seen in context. MCS Employee of the Year and MHS Teacher of the Year Chef Ginger Pratt was recognized on the floor of the Georgia House of Representatives today by Representative Sam Teasley (see the attached resolution). Although Chef Pratt was here at the high school working with students today, several of her students were at the capitol serving food creations to the public at the request of Voices for Georgia's Children during Children's Day at the Capitol. John Schroer, one of our Early Childhood Care & Education teachers, accompanied Chef Pratt's students. Two of the students were on the house floor as the resolution was read. We are all very proud of the impact and influence Chef Pratt has upon our students and community. She is a tireless teacher, leader, and advocate for her students. Bubba Watson, Russell Henley, and Harris English prove that strong families, education and dedication lead to successes –even if it's not quite within their field of study. All three golfers attended the University of Georgia graduating with a degree in Family and Consumer Sciences Education. And all three have also won PGA tour tournaments, Watson with 2 Masters wins. Watson followed an untraditional route in college as he took a break, two credits shy of his degree, to become a professional golfer. His professional career exploded as he had six PGA tours including the Masters. Watson has become a role model giving lessons and talks to students. Since Bubba had yet to complete his degree program he felt guilty telling students the importance of education and a degree without having his own. Bubba remained in contact with his golf coach at UGA and program director and without telling friends and family he returned to school in 2008 to complete his outstanding classes. Not only a strong role model for students but also for young males. Bubba along with his fellow team and classmates, have come from strong intact families not afraid to show commitment, encouragement, and emotions. Bubba, married to his college sweetheart, now is the father of one adopted child. Although in the public eye he has not been afraid to show his emotions after some difficult personal struggles. Bubba and his teammates are the epitome of what Family and Consumer Sciences stand for. Bubba is definitely a "true" role model as he practices what he preaches. His actions match his spoken word. Copyright © 2015 GATFACS. All rights reserved.